Black Dragon Grand Opening | Downtown Sault Ste. Marie, Michigan! The previously vacant historical Alpha Annex located at 111 W Portage Ave., Sault Ste. Marie MI – came alive with activity Monday, July 4th, as the Black Dragon Martial Arts and Wellness celebrated its grand opening. While the wellness center held a “soft opening” in June and has been open for just over a month, Saturday’s festivities officially celebrated the centers opening and welcomed a new business to the busy corner of Ashmun Street and Portage Ave. A ribbon-cutting ceremony started the day with the celebration also featuring a martial art demonstration, lemonade and bake sale, and a float entry in City’s July 4th parade. “This is an awesome project,” Head Instructor for the center Tina Fuller said. 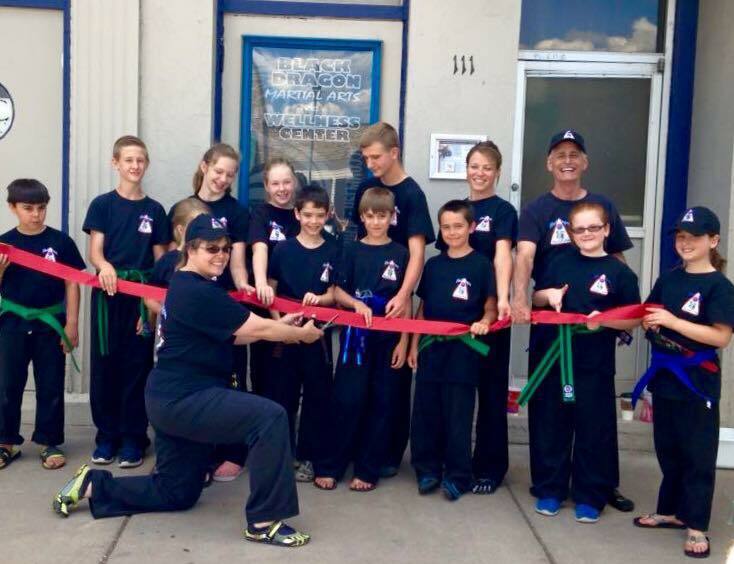 “We currently offer martial art training and will be offering instruction through owner/instructor Amy McCoy, of Bumble Bee Yoga starting in July. The center is also looking to bring additional independent owners/ instructors into the center in other areas such as dance- ZUMBA and Tai Chi. “It’s going to bring activity, it’s going to bring interest in the downtown as a place for youth and families to go enjoy what is offered not only in our facility but in the downtown area.” added Fuller.